How will the Government Shutdown affect my Divorce? Is a 50/50 Possession Schedule Right for Me? Divorce and the Family Home – Keep it or Sell it? It’s Mother’s Day but it’s Dad’s Weekend – Who Gets the Kids? Does Texas Law Assign Parental Responsibilities to Sperm Donors? Equal Parenting Time: Will it Work for your Family? Finding Someone New: What Happens to the Alimony? Every Married Couple in Texas Has a Marital Property Agreement . . . Do You Know What is in Yours? 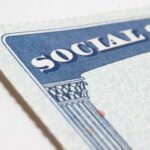 Does Social Security Incentivize Divorce? Is the rationale supporting Texas’ spousal maintenance laws a rationale based in today’s economic reality? Collaborative Family Law: Is It for You? The majority of the cases in family law courts that require court intervention involve an intense, high level of conflict. In almost every high conflict case, you will find at least one party who has a high conflict personality that is driving the litigation train. Unfortunately, the high conflict personalities that most often appear in family law cases are often not recognized by the professionals involved in the case. And, even if the high conflict personality is recognized, many professionals fail to understand how to manage the high conflict case and implement the actions needed to stop or at least minimize any further destruction by the high conflict driven client. Instead, attorneys, judges, mental health professionals and mediators have a tendency to handle the case from the viewpoint of how clients ought to behave rather than understanding how it really is. As professionals, we often want the parties to just find a way to get along. However, because the high level of conflict observed in a family law case is often an extension of the conflict that existed in the marriage that was driven by a party with a high conflict personality, it is unrealistic for any of the professionals to think the conflict is going to stop because the parties have separated and a divorce action has been filed. In fact, many, if not most, the high conflict people will stay in the high conflict cycle their entire life. 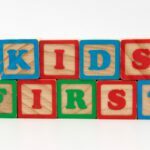 As a family law attorney and a marriage and family therapist, we have seen many examples, both good and bad, of the impact of divorce on children. Over the years, we have gained some insight into how to alleviate some of the more troubling aspects of divorce on children by creating an atmosphere where the children can flourish. Below are some tips. The child custody evaluation is often the most critical piece of evidence in a contested custody case. The results of a child custody evaluation can make or break a client’s case. Preparation can make a tremendous difference in not only how the evaluator sees your client but also in the recommendations made by the evaluation. Most clients, however, are poorly informed about the significance and process of a child custody evaluation and therefore are ill prepared for it. In a family law case, it is common for one party to accuse the opposing party of substance abuse. As a result, drug/alcohol testing has become a commonplace tool used to determine (1) the accuracy of substance abuse allegations; and (2) issues related to custody and visitation. When used properly, drug/alcohol testing is a valuable tool. Armed with the proper information, drug/alcohol testing can then be used to provide evidence of drug use and non-compliance with court orders or abstinence and compliance with court orders. Unfortunately, Judges and attorneys are often uninformed regarding the technical nuances of the various testing methods, which results in drug/alcohol testing that is inappropriate to the specific circumstances of the case.